What does it take to become a successful YouTuber? For a few lucky kids, the answer is as simple as baking Pizza Emoji Cookies. Whether reviewing toys, concocting hammy skits, or tasting candy, a shocking number of children (and their enterprising parents) create content that earns its creators millions of dollars. Take Evan of EvanTubeHD. He reportedly makes about $1.3 million a year by reviewing toys such as LEGO Teenage Mutant Ninja Turtles and the Han Solo Launching Gun. 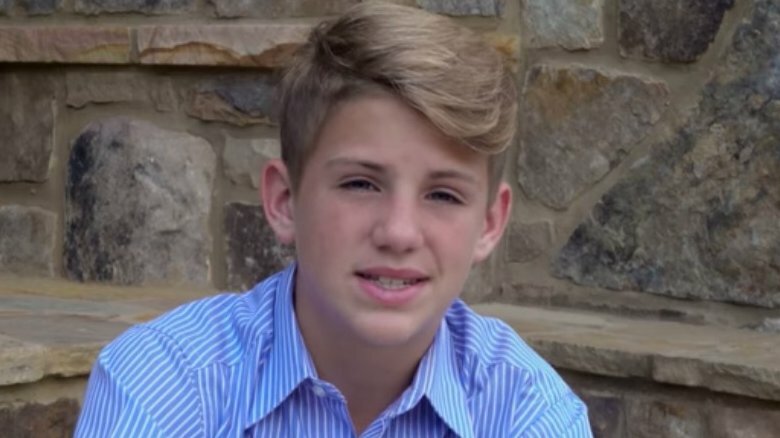 Meanwhile, fellow YouTuber MattyB (pictured) covers rap songs by the likes of The Notorious B.I.G, keeping his mind on the money while dutifully ignoring the haters. 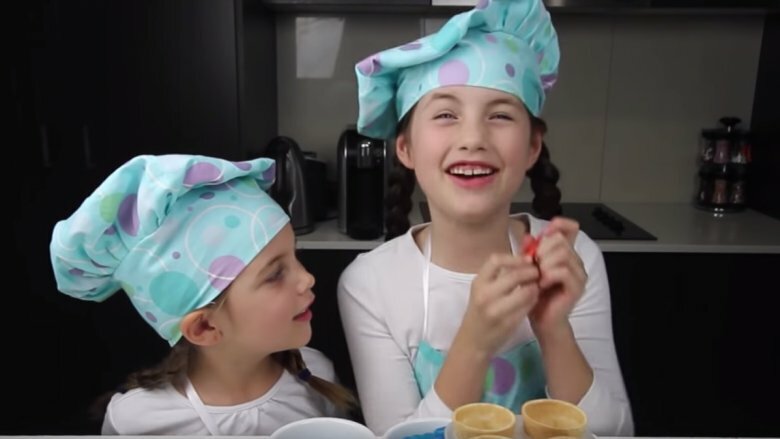 Armed with near-debilitating levels of cuteness, two Australian sisters named Charli and Ashlee made their millions cooking up sugary snacks, including (but not limited to) mango cupcakes, Rainbow Jell-O Pudding Pops, and Nutella "prank slime." From The Department of "Hey, I Can Do That! ", we proudly present this primer on YouTube child stars that have made millions. In October 2018, Ryan even became a toy himself. According to KTLA, your local Walmart is fully stocked with "Ryan" action figures, and that's to say nothing of the panda plush toys and "Giant GOLD Mystery Eggs" that round out the "Ryan's World" collection. In this bizarro-world ecosystem, money begets money. 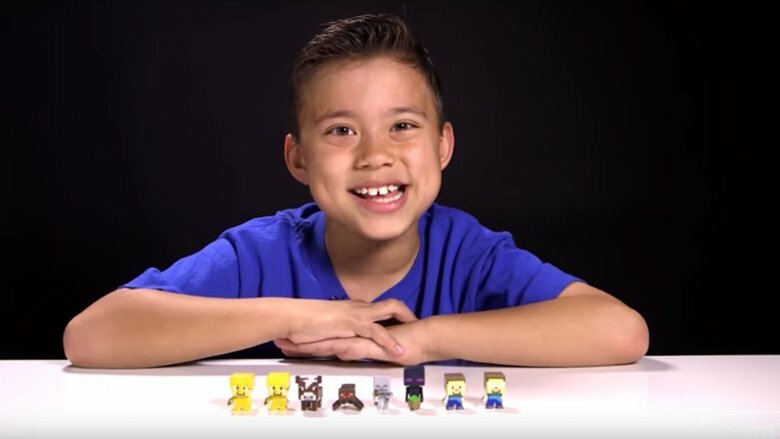 According to the Chicago Tribune, a 2018 YouTube video featuring Ryan searching the department store for his namesake toy collection racked up 10 million views in a month's time. The boy proudly told the Tribune that lots of fans wanted to take his picture at Walmart that day … and then he cut the interview short to go and play (presumably making tens of thousands of dollars while doing so.) Though his parents prefer keeping Ryan's earnings private, Forbes reports he made approximately $11 million in "pretax income" in 2017. 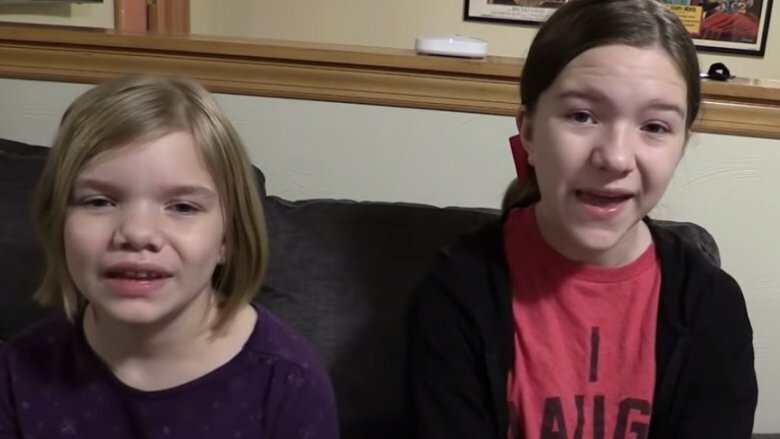 Jillian and her little sister Addie McLaughlin became Youtube-famous by eating candy. 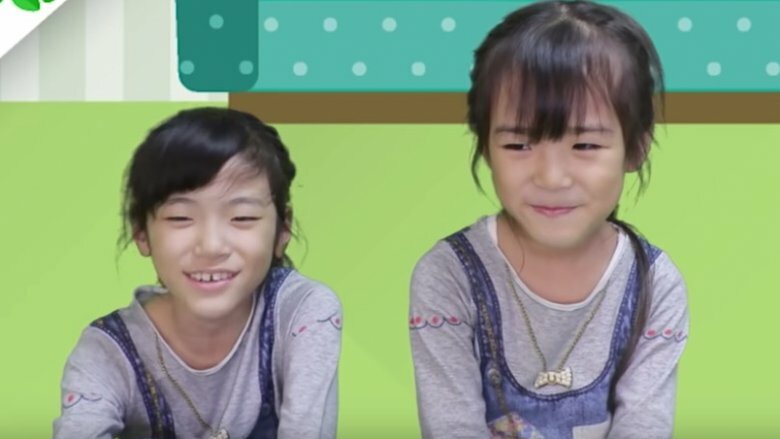 It's nice work if you can get it: Their channel Babyteeth4 features both girls (born in 2005 and 2007, respectively) reviewing their combined weight in goopy delights, from astronaut ice cream ("Ewww!") to gummy pizza. ("I usually avoid the crust on gummy pizzas because they're bananas," Jillian reveals, rolling her eyes.) These days, the channel's focus has broadened to incorporate "toy reviews, silly comedy skits [and] epic mini movies," all produced by their dad, Bob. "It's fair to say the girls' college funds are sorted," Bob told Stuff in 2017. In 2016, Tubefilter profiled the sisters in "YouTube Millionaires," an ongoing column that covers influencers who "recently crossed the one million subscriber mark." Jillian was clearly delighted: "It makes me feel really happy to know so many people are watching our videos, and I hope our videos are making them smile too!" In 2014, Bob told the Pittsburgh Post-Gazette: "I hope it's giving them the idea that they can create things instead of just being passive viewers." Want to turn Tonka trunks into truckloads of cash? Watch how it's done. In January 2016, The Daily Dot invited readers to get acquainted with Evan, a young man they hailed as "YouTube's youngest millionaire." Born in 2005, Evan knows his way around droid inventor kits, magic wands, and Kinder Surprise Eggs. He's also remarkably rich. According to Business Insider, Evan makes roughly $1.3 million a year with his YouTube channel EvanTubeHD, which focuses on toy reviews, challenges, science experiments, and making ungodly sums of money for the whole family to enjoy. Not coincidentally, Evan's dad Jared manages a video production company, which accounts for EvanTubeHD's hyper-slick production values. In 2013, Jared told Newsweek they employ "a dedicated sales team" to negotiate the business side of things: "The majority of the revenue is generated by the ads placed on the video itself." Meanwhile, Evan wasn't altogether aware of his own celebrity status: "For the most part, Evan goes about the day like any other second-grader," Jared said. "He goes to school, does his homework, hangs out with his friends, attends karate class." Afterward, there's "computer time," which evidently involves Evan playing with toys while thousands of dollars pile neatly into his bank account. For anyone looking to launch their own YouTube channel, Jared offers up the following Pro-Tip (via Fast Company): "Some channels take off faster than others for different reasons. The key is to hang in there." Uh-oh: This one-two punch of colossal cuteness is coming right at you and there's nowhere to hide. Specializing in toy reviews, candy-making tips, and giddy restaurant reviews, Kan & Aki's CHANNEL (formerly known as Potemi 936) has been viewed more than 5,000,000,000 times as of November 2018. According to MSN, the Japanese channel had "an estimated net worth of $1.65 million" in 2015, which adds up to a whole lot of "rice cooker chocolate cake," no matter how you slice it. Even if you don't speak or read Japanese, there's plenty to enjoy during a visit to Kan & Aki's virtual playhouse. You'll grin as they slurp up bowls of noodles; gape as they play with a clowder of menacing stuffed-animal cats; and gasp as they get way into the holiday spirit, all tressed up in plastic reindeer antlers and excitedly ripping open presents. You may also feel an implacable sadness as you muse over your own misspent youth; all those carefree days you lollygagged outside when you should've been making your first million by eating delicious beetle-shaped candy while half the world watched. MattyB is in the house. After his cover of Justin Bieber's "Eenie Meenie" went viral in 2010 (when he was seven), the Georgian-born rapper successfully parlayed online fame into genuine celebrity. The Verge gleefully reviews his songs; Time dissected the "Hide Your Girlfriend" meme he unwittingly spawned; and he's already penned That's a Rap!, his first memoir. 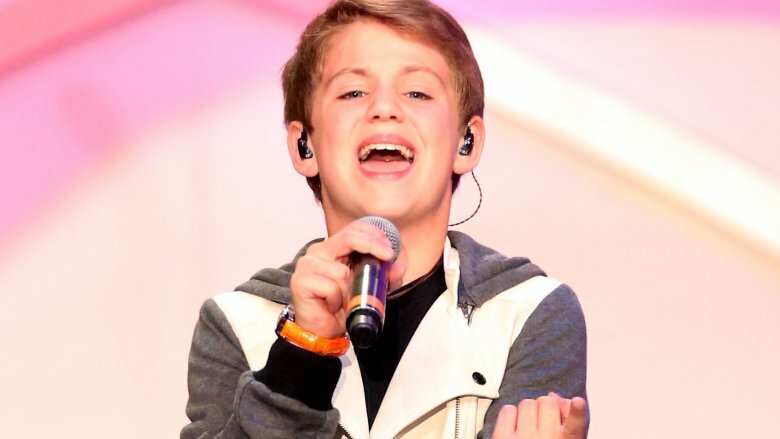 According to The Daily Dot, MattyB — born Matthew David Morris in 2004 — also writes and performs original songs such as "Friend Zone" and "Life is Unfair," which you can absorb at his official YouTube page, MattyBRaps. Unfortunately, no one finds fame and fortune on the Internet without being verbally abused. In 2014, The Daily Dot investigated why "everyone [is] so mad" at MattyB in the wake of his cover of The Notorious B.I.G. 's "Juicy." PIX11 reports his version of "Juicy" caused an online furor, with commentators calling it "lame crap" by a "spoiled little kid." One commentator openly wondered: "Why is a white kid from suburbia trying to sound like he's from the inner city?" Ironically, MattyB dedicated the song to "every doubter who ever told me I wouldn't amount to nothin'." For what it's worth, MattyB takes the haters in stride: "I get so much love from my fans it is hard to ever be anything but positive," he told The Daily Dot. That perkiness is possibly bolstered by the fact that his net worth is estimated to be approximately $3 million. Meet Charli. In less than three years, the pint-sized Australian baker and her youngster sister Ashlee managed to create "YouTube's largest food channel," according to an article in the Daily Mail. As MSN reports, their channel, CharlisCraftyKitchen, reportedly averaged roughly 29 million views — and $127,777 in revenue — every month in 2015. That adds up to more than a million dollars annually. So there. By 2017, the sisters were already diversifying: Their animated online show Crafty Kingdom chronicles the misadventures of "princesses Charli and Ashlee" as they bounced through their candy kingdom, baking all the while. Nevertheless, after pouring most of their energy into a new channel, The Kelly Sisters (launched March 11, 2017), Charli and Ash appear to be on an indefinite break. As of November 2018, they haven't posted a new video in five months, leaving fans to wonder: "Why have u not been making vids and plz make cooking vids again plz." For all we know, they've already made enough money to retire from the workforce for good. Are we still saying video games are a waste of time? 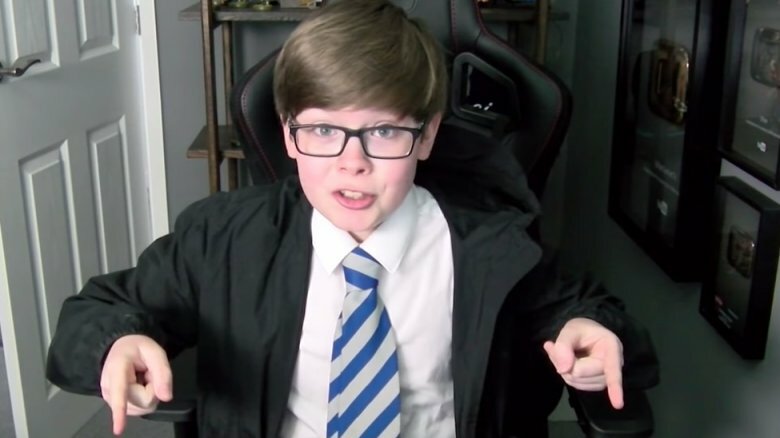 According to The Huffington Post, "British tween" Ethan of EthanGamer made his fortune by playing Minecraft and Pokémon, unboxing videos, and reviewing toys and candy. According to The Knutsford Guardian, his YouTube channel began as a collaboration between Ethan (who was 12 years old as of November 2018) and his father Kevin, who told the publication: "People like to watch him because he is a funny guy." Apparently, Ethan is also a wealthy guy. Barry Tomes, described by the Mirror as a "celebrity agent," told the tab: "The right PR could easily take his earnings to [about $12,8 million USD.]" In June 2018, Kidscreen reported Ethan would be lending his vocal talents to Robozuna, an animated series that "follows 14-year-old Ariston and his homemade robot Mangle." To promote the show, Ethan tweeted in November 2018: "I star in the epic new children's sci-fi series Robozuna! I've been keeping it a secret for nearly 2 years!" Want a sense of what awaits you on Ethan's channel? In November 2018, the young star played Fortnite with some carefully chosen fans. Speaking about somebody with the handle "dadforever2," Ethan boasted: "He said he's literally crying and he loves my channel, so we gotta get him in." Any unlucky fans who didn't make the cut that day probably cheered themselves up at the Ethan Gamer store, where folks can buy official merch like the "Believe in yourself" T-shirt and the "Lit" hoodie. Field trips are great, but shouldn't everybody receive millions of dollars to cover travel expenses? 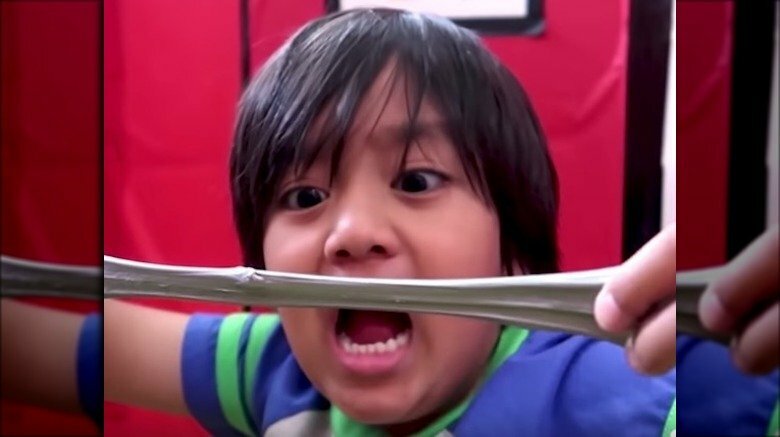 The minds behind YouTube channel Family Fun Pack have figured out the right way to have fun (or, at least, the lucrative way.) Overseen by parents Kristine and Matt, Family Fun Pack specializes in content akin to a particularly wholesome summer camp. The kids careen through Disneyland, chillax with chittering dolphins at Dolphin Quest, and boldly splash into a Wonkian pool of sprinkles at The Museum of Ice Cream. 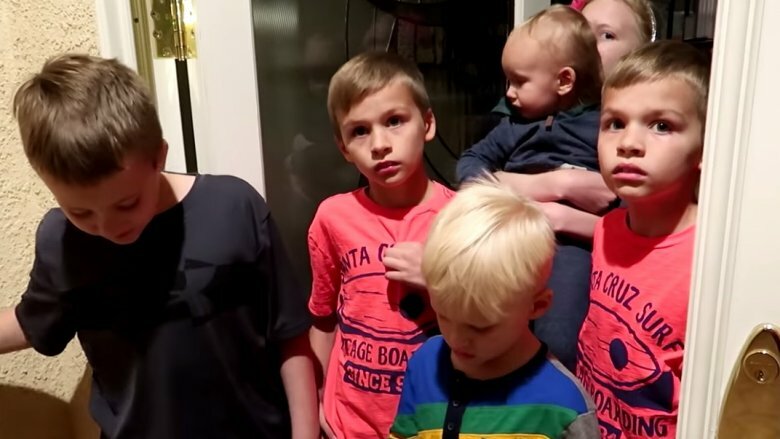 To protect their privacy, the siblings' last names aren't known … but seeing as there are six kids in total — Zac, Michael, Chris, Alyssa, Owen, and David — it's unlikely anybody even has a firm grasp on their first names. In December 2016, Kristine told Forbes it's important "not [to] share too much [about personal details]." As for financial details, MSN claims Family Fun Pack's net worth was $15 million in 2017, and that number is likely even higher now. In February 2018, Variety reported FFP was teaming up with StyleHaul Network, a company that "create[s] new opportunities for entertainment development, licensing and merchandising, publishing and gaming." The inevitable TV show is also in the works. "We never knew we were going to get this big," Kristine told Forbes, emphasizing that all those slime wars, sleepovers, and pizza parties are, in fact, extremely hard work. "There's a misconception that YouTubers are lazy. We work really, really hard. We work every single day of the week." Swinging at piñatas can get exhausting. Cuteness is a commodity. 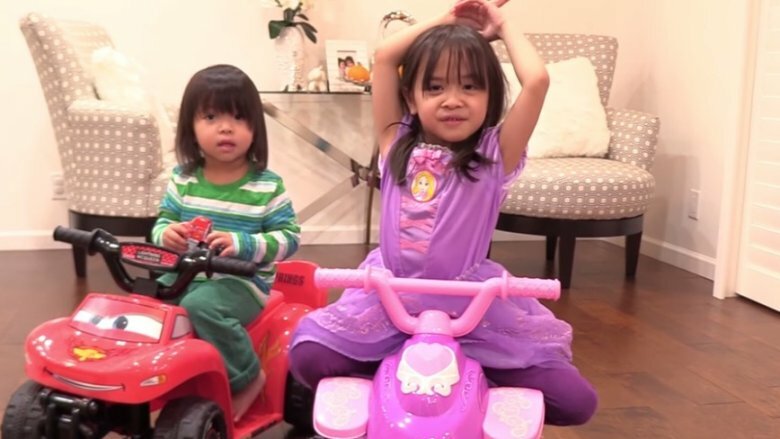 Launched in 2008, Hulyan Maya claims to be YouTube's very first "family toy unboxing channel." ("Unboxing" videos, a highly lucrative YouTube genre, simply features people opening presents and product boxes.) Each video stars Hulyan and Maya, sisters who live for three things: "Fun, playtime, and adventures." According to an ABC News profile, these toy-testing tots drum up roughly 3 million views a day. "It just happened," said father Mark, offhandedly mentioning that he expected the channel to make $1.5 million in 2015. Due to the success of Hulyan Maya, both parents were able to leave their jobs, pay off their mortgage, and build impressive college accounts for their three kids, reported Today. Asked how that could be possible, Marissa DiBartolo, senior editor at The Toy Insider, told ABC News: "If you're making $5 per 1,000 impressions, and you get 1 million views, and you post one new video for every day for 365 days, you're talking about close to $2 million already." Now would be a good time to stop reading and start tearing open boxes on YouTube.